The player supports all common video and audio file formats available for playback. Most important thing is that we're completely free, 0 spyware, 0 ads and no user tracking. It has a built in DVD player with real-time zoom, support for AVI subtitles, QuickTime and RealVideo support (requires QuickTime and/or Real Player); built-in MPEG2/SVCD/DVD codec. 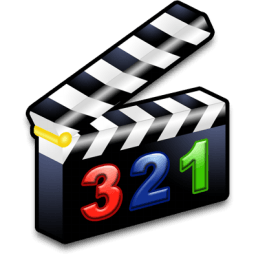 Media Player Classic was created and is currently maintained by a programmer named "Gabest". This is a mod of Media Player Classic design for home cinema usage. Watch movies on any SSE CPU, even on your old computer back from '99. With its wide array of options, MPC-HC can be customized to fit almost any needs. Among other things we added custom toolbars. MPC-HC can also be used as DVB player. Note: MPC-HC is no longer under development but you can try Media Player Classic BE which is alive and kicking. For quite a few months now, or even years, the number of active developers has been decreasing and has inevitably reached zero. This, unfortunately, means that the project is officially dead and this release would be the last one. …Unless some people step up that is. So, if someone’s willing to really contribute and has C/C++ experience, let me know on IRC or via e-mail. Otherwise, all things come to an end and life goes on. It’s been a nice journey and I’m personally pretty overwhelmed having to write this post.